The team at Levy Associates have not only provided sponsorship for the HERTS 10K but have also worked tirelessly to make this a successful event. Rennie Grove Hospice Care would like to thank Managing Director Matt Murphy and his team for all their hard work and support. Levy Associates are IT and Pharmaceutical recruitment and resource management specialists with headquarters in St Albans and offices in Amsterdam. The company, listed in The Times Fast Track 100 in 2005, was founded by Managing Director Lawrence Levy. “Levy Resourcing is proud to be associated with Rennie Grove Hospice Care,” said managing director Matt Murphy. As well as successfully sourcing and delivering IT and business personnel to many multi-national blue-chip companies, Levy Associates works with some of Europe’s leading Pharmaceutical organisations providing highly qualified professionals for many areas of drug research, one of these being oncology. For further information on Levy Associates, their services to both clients and candidates or for career opportunities at Levy Associates please call 01727 865533 or go to http://www.levy.eu.com/ . Plowman Craven located in Harpenden is one of the largest measurement survey companies in the UK. Plowman Craven is a firm believer in supporting the Community, both close to home and further afield. Plowman Craven regularly donate to various Harpenden Community projects and we are delighted that the company has once again chosen to support the HERTS 10K this year as a Headline Sponsor. 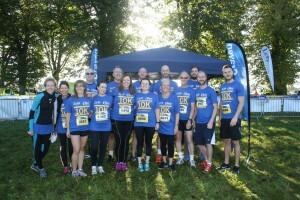 In 2018 around 18 employees of Plowman Craven took part in the HERTS 10K. The runners were supported by a company training programme arranged by an employee of the company. The company has a great focus on Wellbeing and has had a full week of community activities and fundraising events in aid of the Rennie Grove Hospice Care. Last year the team from Plowman Craven were our top fundraising team with employees raising money through their justgiving page and holding fundraising events within their Harpenden based office. Their head office is based in Harpenden, Hertfordshire, and provides a base for over 170 employees. The company also has premises in Southwark Bridge Road, London, which is home to their PC Monitoring and PC Enviro divisions which focus on the development and installation of structural and environmental monitoring solutions. 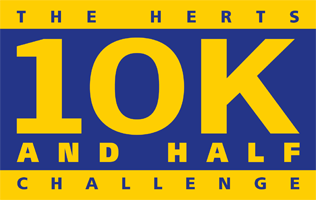 The team at PB Donoghue are delighted to announce our continued sponsorship of Hertfordshire’s most popular 10k run in aid of Rennie Grove Hospice Care; we look forward to yet again supporting The Herts 10k Challenge and wish all participants good luck on the day! PB Donoghue is an industry-leading waste management company with depots in Hertfordshire and North West London. Our Watford based depot encompasses of Pink Skips, covering the Hertfordshire area. This is a division of PB Donoghue (Construction) Limited where our head office was established in North West London over 45 years ago. With an unrivalled reputation in the waste disposal industry, P.B. 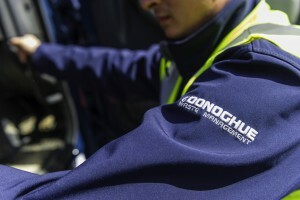 Donoghue’s expertise in Waste Management and Skip Hire also includes the supply of aggregates, building materials and plant hire. Serious and passionate about recycling all our services are provided throughout Hertfordshire, London and the Home Counties. Rennie Grove Hospice Care is delighted to See St Hilda’s School return for a second year. 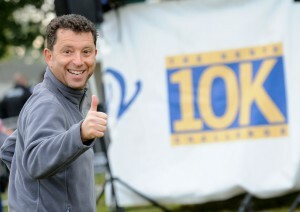 Last year 12 staff members completed the Herts 10K for the first time. This year you will not only see them on the route but you will see them at the finish line cheering on participants and providing refreshments. St Hilda’s has been part of the Harpenden community for over 125 years providing pupils with a first-class education. Academic rigour, mixed with carefully differentiated and independent learning and creativity, allow every pupil to maximise their potential.